In large bowl, mix granulated sugar, flour and cinnamon; gently stir in apples. In small bowl, mix whipping cream and vanilla. Pour over apple mixture; stir gently to mix well. Spoon into crust-lined pan. Top with second pie crust; seal edge and flute. Cut slits or shapes in several places in top crust. Brush top with egg white; sprinkle with coarse sugar. 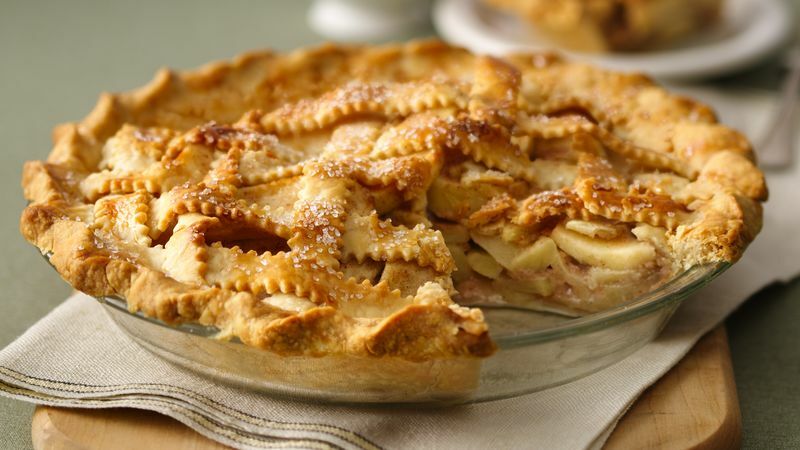 Bake 40 to 50 minutes or until apples are tender and crust is golden brown, covering crust edge with strips of foil after 15 minutes of baking to prevent excessive browning. Cool 1 hour. Look for coarse sugar near the colored sugar in the baking aisle of large supermarkets or in specialty kitchen shops.